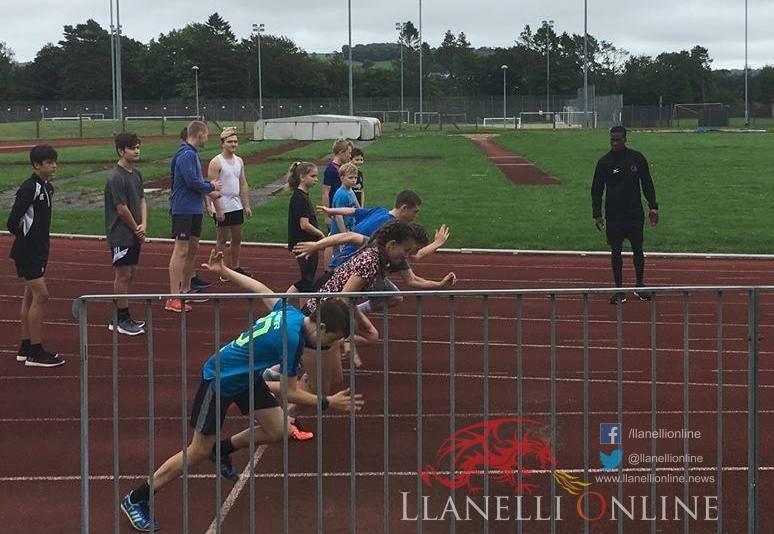 OLYMPIC, Commonwealth athlete and coach Christian Malcolm and his team of coaches brought the “Pop-up Speed Acceleration Programme” down to West Wales on Wednesday (Aug 22). 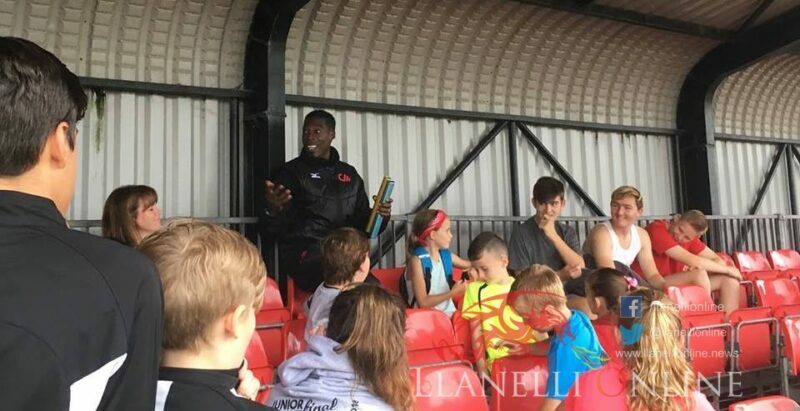 Delivered by the Christian Malcolm Sports Academy over two sessions, the programme received a good response from local children aged between 8 and 17. At 19, Christian was the fastest junior on the planet. His athletics career began at the age of 11 and at 17 years of age he achieved his first British vest. He went on to represent Great Britain and became one of the World’s greatest sprinters for the next 18 years. 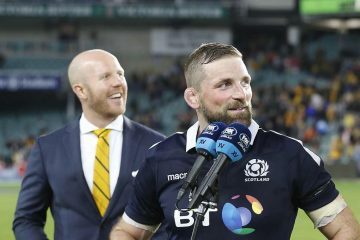 Having spent most of his life as an athlete, Christian has gained a huge amount of knowledge about the sport and wanted to pass on his stories and inspire upcoming stars of the future. 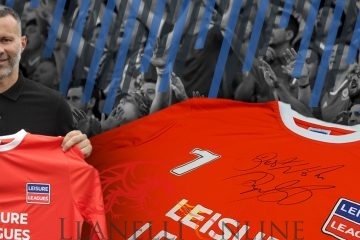 After being a four time Olympian and 2 x Olympic finalist winning a haul of medals, Christian retired in June 2014 and began his career as a coach. Since taking on this role Great Britain’s Relay team has never looked so strong. 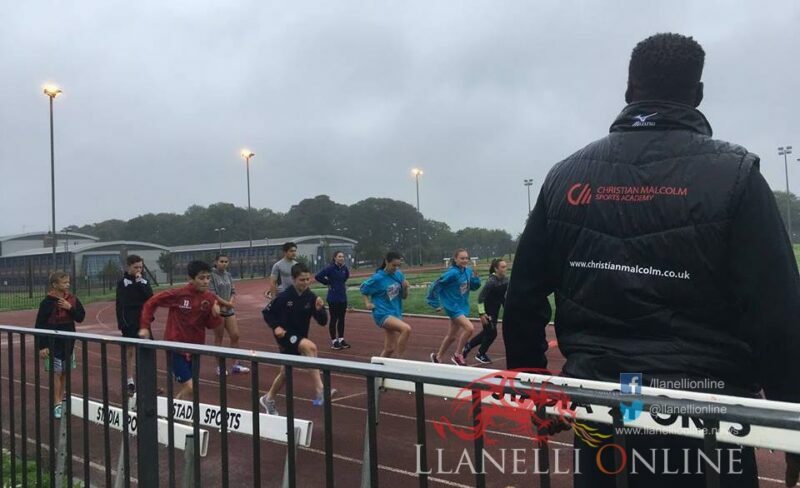 Some of the coaching achievements to date include: 2016 European Championships 4 x 100m Gold and Silver Medallists, 2016 Olympic Games 4 x 100m Bronze Medallists as well as Gold and Silver Medallists at the 2017 World Championships. 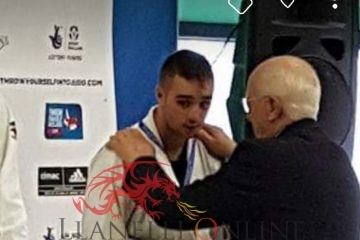 Since taking on the role of coach for Disability Sport Wales, Christian has coached two Welsh athletes to achieve Paralympic and World Championship Finals with a silver medal for Jordan Howe in the 100m T35 and a 5th place for Rhys Jones in T37 100m. 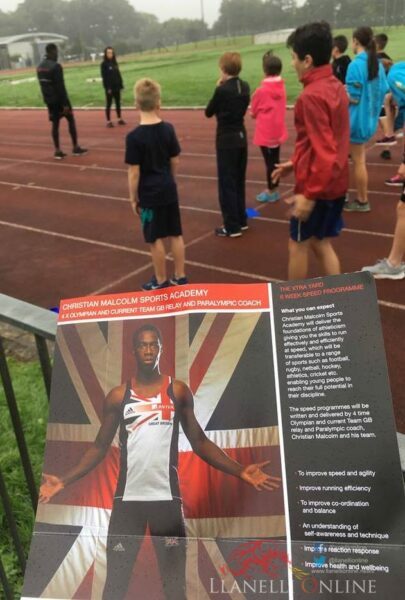 The Christian Malcolm Sports Academy is aimed at giving young people the opportunity to maximize their potential in sport and is a way of giving something back to local communities. 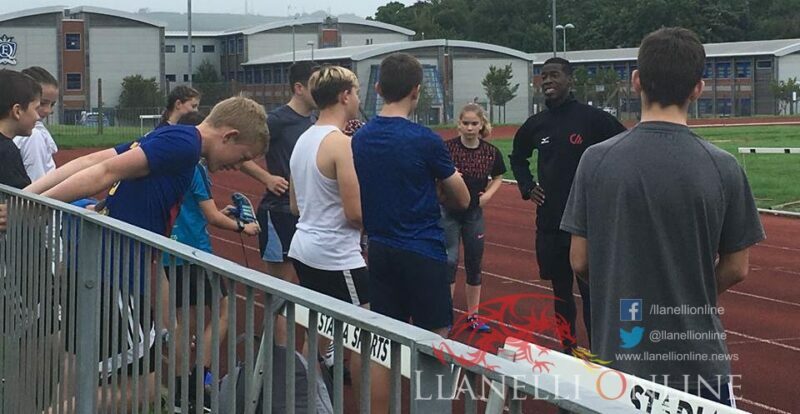 His experienced as a professional athlete, the technical lead for Team GB 4 x 100m relays and Disability Sport Wales has driven Christian to share his expertise through the Christian Malcolm Sports Academy. It delivered the foundations of athleticism giving skills to run effectively and efficiently at speed, which will be transferable to a range of sports. 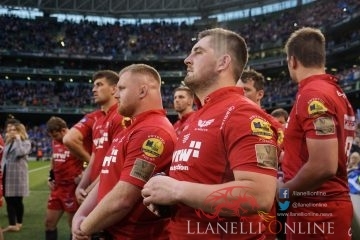 Having run sessions to different clubs in venues such as Cardiff, Pontypool and Ebbw Vale over the last few months, the team made their way down the M4 to inspire the next generation here. 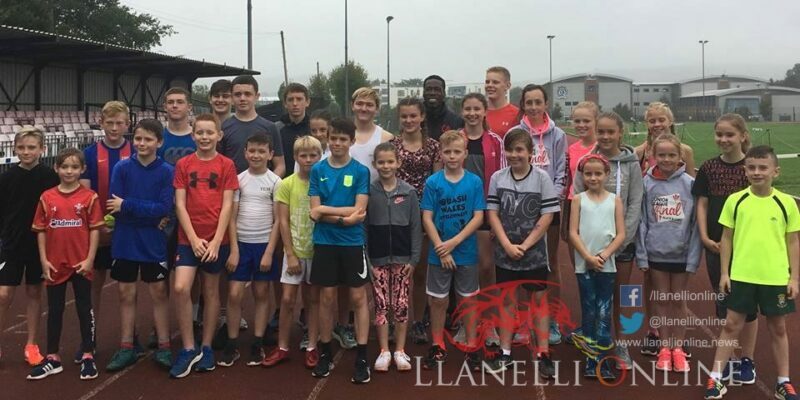 The Pop-Up programmes at Carmarthen Leisure Centre were speed sessions delivered by Christian himself and coach Lisa Waddon, who was also a GB athlete in the sprints and jumps. 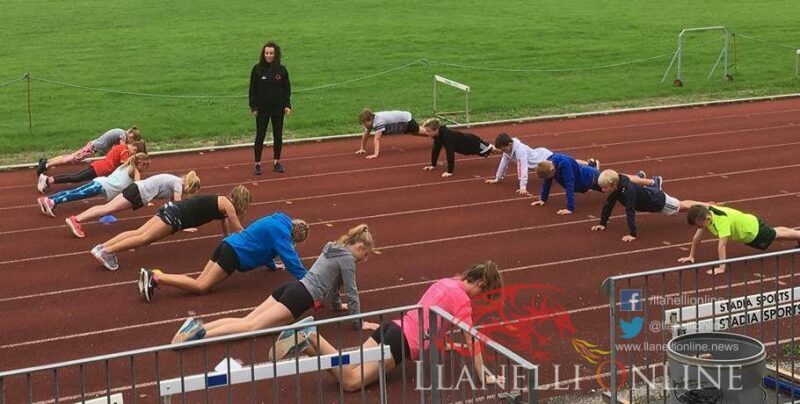 Under 20 athletes Ffion Waddon and Seanna Malcolm were on hand to demonstrate some of the techniques. Open to all clubs and groups in various sports from the area including Athletics, Rugby, Hockey, Netball, Football, Gymnastics, Cricket, Lacrosse and Basketball, the grey and wet conditions didn’t stop a total of fifty-two youngsters aged between 8-17 attend the hour and a half sessions on Wednesday afternoon (14:00) and Wednesday evening (18:00). Aims of the sessions included the following break down topics: Improving Efficiency, Improving Self-Awareness & Technique, Improving Reaction Response, Improving Co-ordination and Balance and Improving Speed. Thirty children arrived for the afternoon session and twenty-two signed up for the evening session. 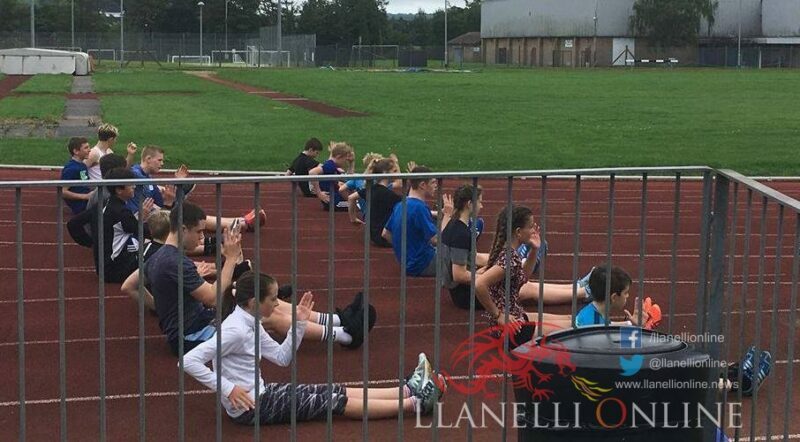 Athletes were split up into two groups of different ages where they started off by completing an hour of warm up drills, learning how to use parts of the body correctly while stretching. 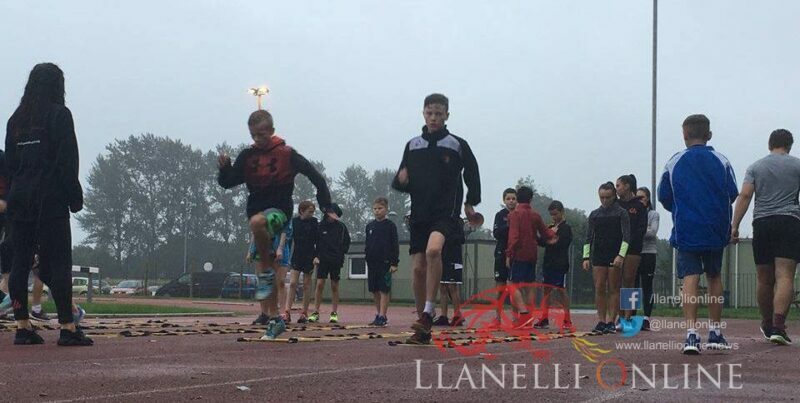 The sessions then went on to work on starting techniques, reaction times, using the ladders and practising using their arms and legs which is very important when it comes to sprinting and speed work. Those participating finished off by doing a 50 metre sprint relay in two teams, getting the chance to improve on their techniques while having fun at the same time. At the end of both sessions, Christian joined the youngsters in the main stand and provided a question and answer session with children, parents and coaches who attended the programme. There were some interesting questions asked including his time as an athlete. It was a great opportunity for the Olympian to share his experiences to the group and encourage the upcoming stars to work hard which will result in further success in years to come. 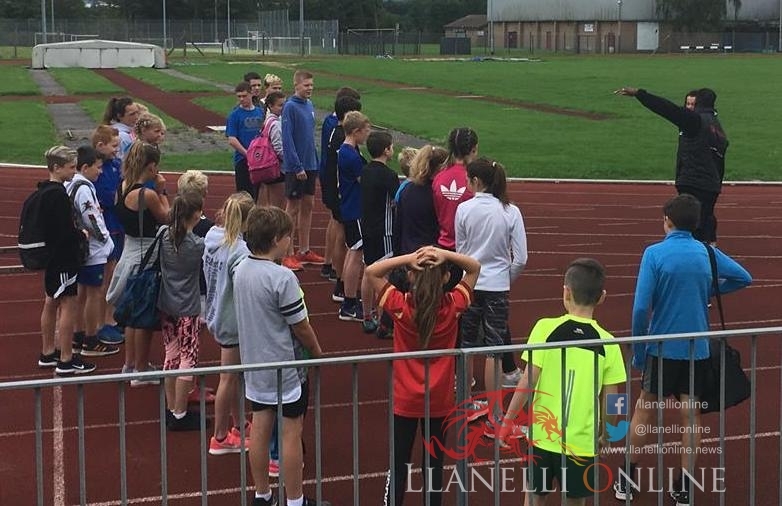 It saw plenty of useful information and tips given to athletes, parents and coaches to take away back to their sports clubs, whether it’s on the playing field, court or track. The feedback was very positive with children having taken something away with them. The group will be returning before the end of 2018 to deliver a further session where those in attendance on Wednesday as well as new faces can get involved again in Carmarthen.